Mendel's breeders at ArticCross had a stunning add published in the March 2013 Showsight Magazine. 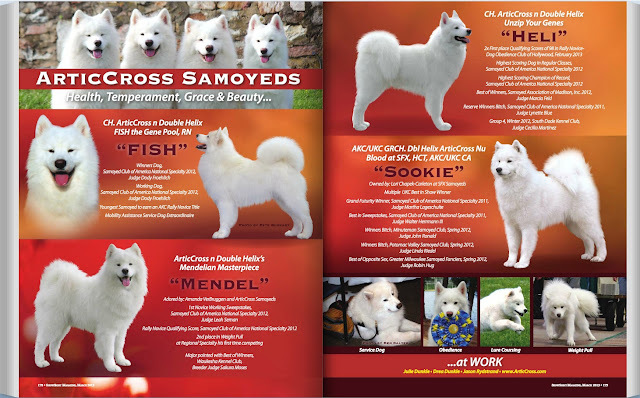 We'd like to extend a great big thanks to ArticCross Samoyeds for including Mendel! !